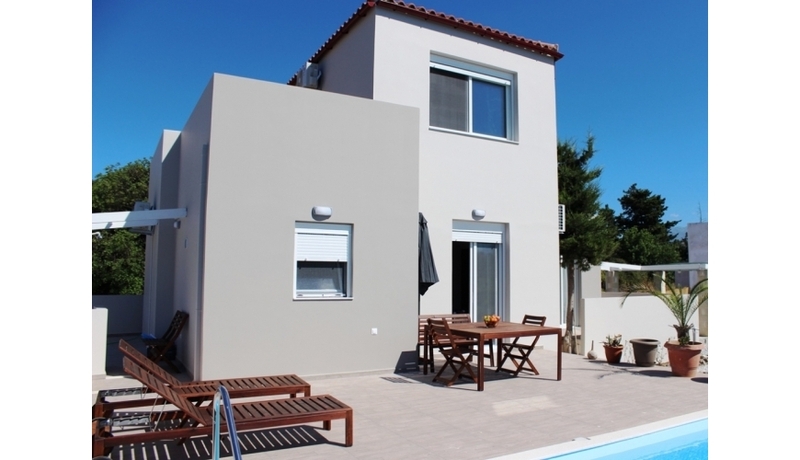 A very well located three bedroom villa with private pool and extensive terraces. On a private plot overlooking the resort of Georgioupolis with stunning views across the countryside to the sea and beaches beyond. 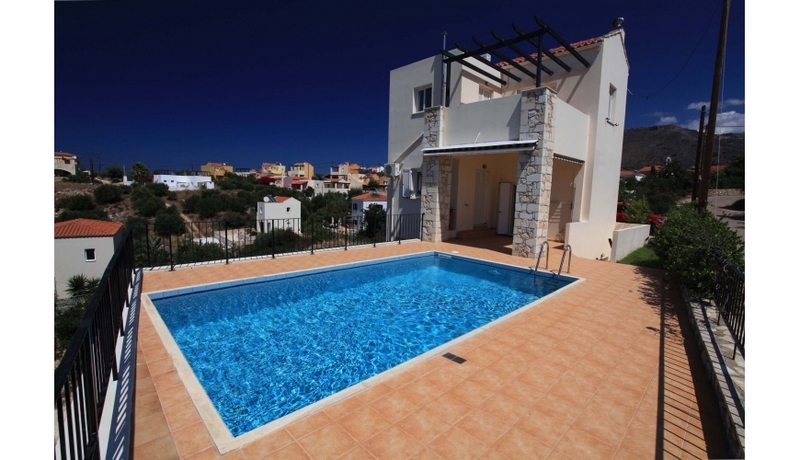 This villa would make a great holiday home or rental investment. This beautiful detached villa completed in 2008 is in a great location in the village of Exopolis above the lively resort of Georgioupolis. Just minutes from the golden sandy beaches. 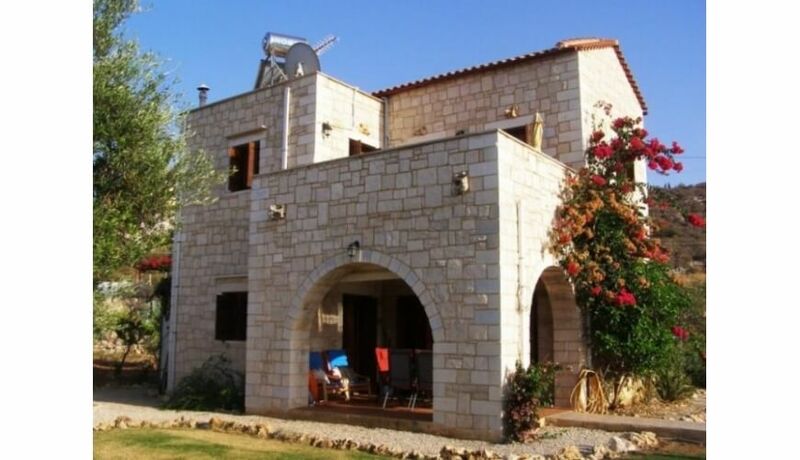 The villa is currently run as a successful rental business but it would also make a great holiday or full time home. Entering on the lower floor, the villa has a spacious feelwith an open plan living and dining area plus a fully fitted kitchen. The living room has a feature fireplace and attractive built in seating areas. There is also a shower room and storage area on this level. A side door leads to the garden and entrance steps. Patio doors lead to the large front covered terrace and the gardens, pool area and terraces. A lovely covered seating sits above the pool, the perfect place to sit back, relax and soak up the scenery and amazing views. A staircase leads to the upper floor which has 3 bedrooms. There are 2 double rooms with patio doors to the upper private terrace. All bedrooms have fitted wardrobes and air conditioning. The family bathroom has high quality tiling plus a half bath and shower.